Emerald City will be an international outlet mall featuring the top brands from around the world for our clients, home owners and cruise ship visitors to take advantage of the duty free prices. Located at the water’s edge and surrounded by lush tropical palms, this is exactly the type of commercial village you’d expect of downtown Miami’s most beautiful region Bayside. 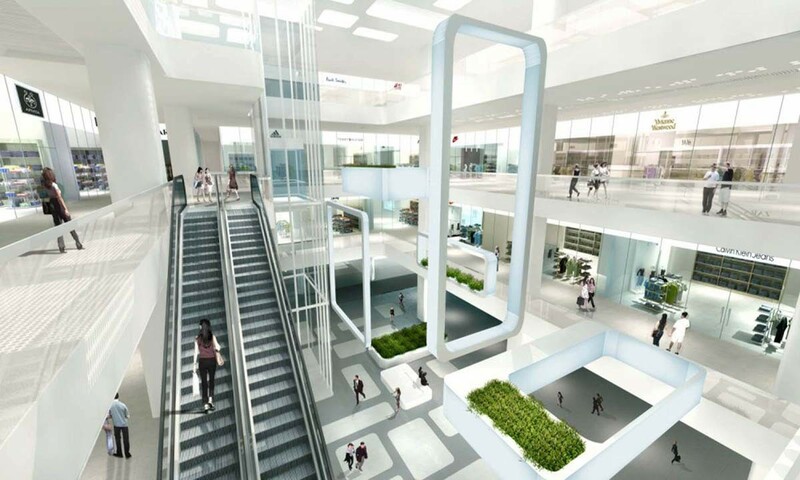 Alongside the usual designer store suspects, with retail outlets ranging from snazzy boutiques to high-end fashion stores will be a state of the art fitness club. Emerald City will also encapsulate several world-class restaurants featuring international cuisines and bars. Emerald City will be home to literally hundreds of duty-free shops, making it the top duty-free shopping destination in the United States. Main Street, Back Street and Waterfront Street and the alleys in between will be home to shops selling discounted jewelry, alcohol, cameras, clothing, native prints and crafts and much more. Emerald City will be within walking distance of the Port of Miami cruise ship terminal. A vibrant mix of on-site wineries, microbrewery, retail outlets and restaurants, an inviting open-air plaza, and high-end residential condos, Emerald City will have a lively and engaging design that can accommodate large numbers of visitors. High-quality features and finishes will create an enduring landmark that will attract the ultimate consumer base. Emerald City shops will carry everything from linen outfits to cocktail dresses and evening gowns, shoes, handbags, hats, jewelry and precious gifts designed by master goldsmiths from the Caribbean and a wide selection of top quality gold, platinum and sterling silver products. Luxury goods, liquor, china, crystal, collectibles, fragrances, watches, photographic equipment and leather goods will all be available at Emerald City. Pedestrian friendly retail area centered on a public courtyard. Tax Free Zone The Tax Free Zones are a controversial government free trade zone initiative in Florida. Designed to encourage foreign investment and international trade, businesses operating within these zones have no tax on their profits, and are exempted from customs duties on imports and exports (capital goods, raw materials, construction materials, and office equipment) and import licensing requirements. United States residents: US citizens who have been out of country for a minimum of 48 hours and have not used their respective duty-free allowance within 30 days generally are entitled to an $800 duty-free tax exemption in the Caribbean. Families traveling together can pool their exemptions. Alcohol: The duty-free allowance for US citizens age 21 and over is two liters, the value of which must be included within the $800 exemption. For travel to the US Virgin Islands, the exemption is $1,600. Special rules also apply to purchases that you mail home rather than carry home. Canadian Residents: Canadian citizens who have been out of the country for a minimum of 7 days are entitled to a duty-free exemption of $750 CAD. They are also permitted a duty-free exemption of $400 CAD each time they are out of the country for more than 48 hours. This $400 exemption may not be claimed during the same period as the $750 exemption nor can their exemption be pooled with their spouses and/or children. Alcohol: The duty-free allowance for Canadian citizens who meet the legal age of the province they re-enter is 40 ounces of liquor, 1.5 liters of wine, or two dozen 12 ounce cans of beer, the value of which must be included within the yearly or quarterly exemption. Tobacco 200 cigarettes or 50 cigars can be brought back duty-free. UK Citizens: Can return home with 200 cigarettes or 100 cigarillos or 50 cigars or 250g of tobacco; 4 liters of still table wine; 1 liter of sprits or strong liquor over 22% volume: or 2 liters of fortified wine, sparkling wine or other liqueurs: 16 liters of beer; 60cc/ml of perfume; and L300 worth of all other goods including gifts and souvenirs. They can mix and match products in the alcohol category and the tobacco category provide they do not exceed the total allowance. For example they can bring in 100 cigarettes and 25 cigars, which is 50 percent of their cigarette allowance and 50 percent of their cigar allowance. European Union residents: Can bring home up to 430 Euros worth of goods, including up to four liters of wine and 16 liters of beer. List of types of designers’ outlets shops Emerald City will approach about becoming tenants of Emerald City International Mall Outlet; only top of the line brands will be contacted.